In and from this post, we're looking at the question: "where did we come from"? I forgive myself that I haven’t accepted and allowed myself to see/realise/understand – that I, since the beginning as the emergence of and as substance, into and as a manifested-singularity had an opportunity to emerge in and as equality and oneness with and as substance, and create/manifest a reality with and as substance as equality and oneness as Life. And with that, throughout time would have – re-merged/-rebirthed from, of and as substance into and as a manifested-existence of and as substance of and as equality and oneness: Life birthing into and as Life. I forgive myself that I have accepted and allowed myself to instead, throughout time with the emergence/rebirth of me as manifested-singularity, conceived myself as separate from and of substance/existence-manifest, and with this conception of separation – manifested the friction/conflict that would transform my relationship with and to substance/existence-manifest from equality and oneness to opposition/separation. In this - with and as my inception process as manifested-singularity and beingness of and as substance as I rebirth/re-emerge from and of substance/existence-manifest, came my simultaneous conception process - where I re-emerge/rebirth as Energy consuming Substance in my beingness, manifested-singularity and existence-manifest. And throughout time, manipulated substance as me, as my beingness, manifested singularity and existence-manifest, through consuming substance for energy, that I manifested into and as my relationship-creations of and as energy – internally and externally, where: as I was creating/manifesting my energy relationship-creations within my manifested-singularity/beingness manifesting the Energy-Reality of me from and of Substance, manifesting into networks and unified fields; it equally as one manifested in the without as me as existence-manifest as networks and unified fields of and as relationship-creations of and as Energy that I would leave-behind as my creation of and as me as the without as me, life after life after life. And so, since the beginning – started consuming substance in my within and without to manifest my Energy-Reality within and without. And thus manifested me and existence as me, into and as the emergence/rebirth of and as energy within and as an Energy-Reality, where in the within and without – my internal Energy-Reality and external Energy-Reality exist/survive through and as the consumption of and as substance. In this, I forgive myself that I have accepted and allowed myself to manifest, throughout time – from the beginning, within and as the relationship of me as Energy/Energy-Reality to and as Substance as my manifested-singularity/beingness: created/manifested my INTERNAL-REALITY relationship as Energy to Substance equally as one as what my EXTERNAL REALITY has become/now exist as, as the relationship between Heaven and Earth/this Physical-Existence. With the relationship of the Heaven-Existence (Energy-Reality) to the Physical-Existence (Substance-manifest), equal-to and one-with the relationship of me as Energy (Energy-Reality) to Substance (my beingness/manifested-singularity of and as Substance-manifest) in the beginning. In this, I forgive myself, that I haven’t accepted and allowed myself to see/realise/understand - that what I have created/manifested as me from and of the smaller as me, in the beginning as my inception and conception process into and as existence; as my manifested-singularity/beingness of and as substance (inception process), consumed by/through me as Energy (conception process) to manifest my Energy-Reality as me as negative, neutral and positive energy-awareness: so - manifested equally as one as the greater as me from and of the smaller of and as me - as my existence as the without as me that has become the Heaven-Existence (conception-manifestation) and the Physical-Existence (inception-manifestation): With the relationship between the Physical-Existence as substance-manifest, and the Heaven-Existence as Energy-manifest, where the Heaven-Existence consume from and of the very Physical-Existence for it to continue existing/surviving as an manifested-existence of and as Energy. Equal-to and one-with my Mind Consciousness System in its relationship to and with the Physical body – as my Mind/Consciousness of and as Energy consume from and of the Physical to continue existing/surviving as an Energy-Reality. Equal-to and one-with the World-System of Money in its relationship to and with this entire physical existence, that consume from and of this physical-existence to transform into Money/Energy for its continued survival/existence. All of which originated from and of me as manifested-singularity in my initial accepted and allowed relationship as Energy to/towards substance as existence-manifest. Heaven to this Physical-Existence: as the greater/external of and as me from and of my relationship as Energy within and as my manifested-singularity and beingness of and as substance-manifest, with and as the relationship of the Heaven-Existence consuming from and of this Physical-Existence, as the Beingnesses and Physical-Bodies of and as Human-Beings as substance-manifest – to create/manifest the Heaven-Existence of and as Energy into and as its energy-awareness of and as negativity (demon dimension / lost souls / ghosts etc. ), neutrality (guides, guards, gatekeepers etc.) and positivity (gods, goddesses, ascended masters, angels, masters, creators etc.). The Mind to the Physical: as the evolution of me as my relationship as Energy within and as my manifested-singularity/beingness in the beginning, with my Mind Consciousness System relationship to/towards my Human Physical Body as the conscious (positive-energy awareness), subconscious (neutral energy awareness) and unconscious (negative-energy awareness) – that consume from and of my beingness/physical-body of and as substance to continue existing/surviving. The World-System of Money to Earth: as the external creation of me as the Mind/Energy to the Physical/Substance, where the World-System of Money, consume from and of this Physical-Existence/Earth – consuming from and of the lives/beingnesses and physicals/physical-materials as substance-manifest (humans, animals, insects, nature, earth, water): manifesting this physical-existence/earth into and as manifested energy-awarenesses of and as negativity (poverty, famine, starvation, war, violence, animal-abuse, air and water pollution, deforestation, desertification), neutrality (lower and middle class society) and positive (rich, elite). I forgive myself that I haven’t accepted and allowed myself to see/realise/understand, how – the answer to me, as ‘who I am’ has always been right here in and as creation as me – as the relationship between Heaven and this Physical-Existence, my Mind and the Physical-Body and the World-System of Money and Earth, that I created and evolved into and as within and as the starting-point of and as who I am as Energy in and as relationship to me as my beingness/manifested-singularity and existence as substance-manifest. My External-Reality of and as me as Heaven to this Physical-Existence: where my very external reality had become an existence of consumption, use, abuse and manipulation, as the Heaven-Existence itself, equal-to and one-with my ‘who I am’ as Energy-consuming system/machine, equal-to and one-with my ‘how I am’ as using, abusing and manipulating the very physical-existence for it to manifest the ‘what I am’ as the Heaven-Existence as Energy. My Internal-Reality Evolution of and as me as the Mind Consciousness System to the Physical-Body: where the very nature of the Mind Consciousness System to the Physical-Body exist equal-to and one-with the nature/manifestation/action of and as ‘who I am’, ‘what I am’ and ‘how I am’ as the Mind Consciousness System as ‘what I am’ as Energy, as the ‘who I am’ as Energy-consuming system/machine that manifest the ‘how I am’ as the Mind Consciousness System use/abuse/manipulate the very Physical-Body to its will to transform physicality into and as Energy for its own survival/existence. My External-Reality Creation of and as the Mind to the Physical, with the World-System of Money in and as this physical-existence, where the ‘who I am’ as Money-consuming system, manifest the ‘how I am’ as manipulating, using and abusing this physical-existence to transform/consume physicality into and as money, for the ‘what I am’ as Energy/Money to continue existing/surviving. In this, I forgive myself that I have accepted and allowed myself, to – with substance as me, in my within and without – create/manifest an internal and external reality/existence of and as Energy, within and as the nature, manifestation and action of and as the ‘who, what and how’ I am: as an self and existence that consume that which had gifted me eternal life, of and as equality and oneness and manifested my relationship as Energy to/with it in and as separation within and as the nature/manifestation/action of and as consumption, abuse and manipulation. In this, I forgive myself that I haven’t accepted and allowed myself to have not seen realised or understood – with me compromising substance/existence as me in and as this accepted and allowed relationship/creation of me as Energy; I equally as one compromised myself: as I will always be here in and as existence, as I am eternally from and of here as substance/existence manifest; and I will thus eternally return/rebirth/re-emerge into and as me as here as substance/existence manifest. That has now become an existence of and as consumption, abuse and manipulation, as the manifested-consequence of the relationship between Heaven and this physical-existence, the Mind Consciousness System to the Physical-Body and the World-System to Earth – that I will eternally return/rebirth/remerge into and as me, as what I had created/manifested me to be/become as Energy within and Energy without in and as my relationship to substance/existence in my within and without. And that this Existence as me will continue as is: until I as Energy stop me, and return to me into and as substance as equality and oneness manifest, and stand up within and as myself as substance-manifest; to walk my external reality as existence and creation as the World into and as equal and one equality and oneness as my who, what and how I am as Life. 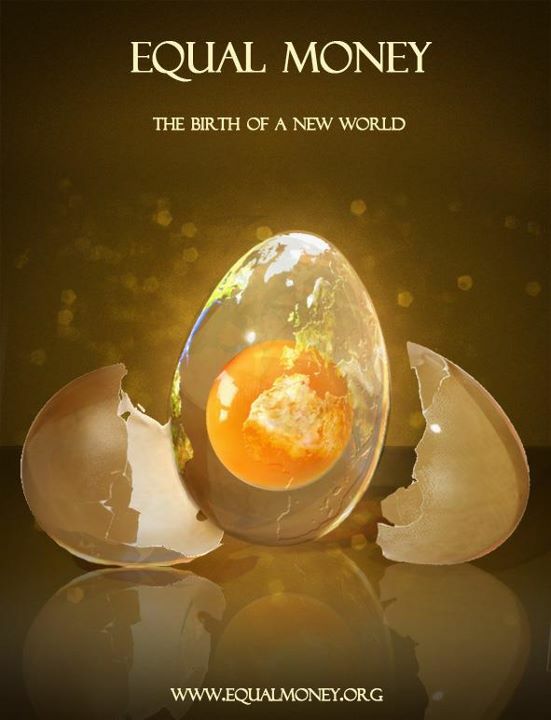 So, the question – Which came first? The Chicken or the Egg – will be answered within the next post to come: so – stay tuned, as we continue with how we as the smaller, manifested throughout time – the greater, the small and the great manifesting simultaneously equal and one, as the within and without of and as ourselves; that has and always will be our responsibility as ourselves. I see, realise and understand – that I have from and of the initial smaller of and as me, created/manifested the greater of and as me through and as the accumulation/continuation of and as time, throughout time: as I moved as a manifested-singularity into and out of existence as a breath, with the in-breath my emergence/rebirth into and as existence, and my out-breath my exit/death from and of existence – and during the in-breath: as I created me as internally as Energy as relationship-creations within myself as the smaller = simultaneously created me externally as Energy as relationship-creations that layered within and throughout the greater as existence as me; creating me into an internal and external energy-reality; that so throughout time, with an existential in breath and out breath have manifested/evolved my internal and external realities and creations of and as Heaven, the Mind and the World-System of Money with its relationship to and towards substance/physicality-manifest, equal-to and one-with the ‘what, who and how’ of and as me as Energy to Substance in the beginning. And so all of us together, with our existential in-breaths and out-breaths throughout time as the individual ‘smaller’ – have manifested the united greater as this existence as a whole, as all the ‘smaller’ as all of us individuals together, throughout time – have walked our existential in-breaths as births and out-breaths as deaths, and within and during the in-breaths throughout time; have created/manifested our internal and external reality/existence and creation as Heaven, the Mind and the World-System of Money as it exist today. I see, realise and understand that – it has always been me, as the smaller that has created the greater throughout time, throughout breaths: through breaths in the smaller, as I created my internal energy-reality as positivity, neutrality and negativity – which I still do today, as my relationship of the Mind, to the Physical – that create/manifest/programme my Mind breath, by breath as I continue participating in my body and this physical-existence as the Mind, and breaths in the greater as my birth and death; and that it is thus me as the small, in and as the small as breath: that is the answer, that is the key to the eternal change/transformation of and as this existence as me. I commit myself to – through writing, self-forgiveness and self-corrective application, walk the process of taking responsibility for and as the small that is me, that has been the starting-point of and as all as me as existence-manifest: where everything of this existence had originated from, had been created from as me as the ‘small’: And because everything started from and of me in and as my who, what and how I am relationship as Energy to Substance, I now assist/support me, in starting with and as the small of and as me, manifest: to return me as Energy to substance, to stand in and as equality and oneness as Life with the physical-body, this physical existence to change/transform the starting-point of and as me from separation, to equality and oneness to from me as the small – change/transform the greater as me. In this, I commit myself to - in the small action that I had physically used throughout this life as Breath, Breath that I had used/abused/manipulated to create/manifest/program my Mind with breath-by-breath throughout my life, in my relationship as the Mind to the Physical: I walk breath by breath in and as equality and oneness, with and as my human physical body, and breath-by-breath – commit me to transform/change my walking/living with and as breath, from using/abusing the physical to consume for my Mind as energy to evolve, to the walking/living with and as breath as me returning me as Energy to Substance through and as the process of and as writing, self forgiveness and self-corrective application. I commit myself to, walk this In-Breath as One Life, breath-by-breath – as the in-breath as this One Life in transforming me from Energy-consuming system/machine as the Mind/Consciousness to a Living-Being in and as equality and oneness with and as substance/the physical, and live this equality and oneness as a Living-Example. So that I prepare the way before me, as all as me; that when and as I breathe-out as die/leave, what I stand as and have left behind is the eternal stand/statement/living example of and as me, of walking the process of and as returning energy to substance/physicality. So that when and as I return/rebirth/re-emerge, I will start rebirthing/re-emerging into and as an existence in the process of manifesting itself into and as equality and oneness of and as substance/life. I commit myself to, transforming/changing the World-System of Money to an Equal Money System – as a System that will represent me as manifested equality and oneness, where Money will be the breath that gift life to all in and as equality and oneness, and allow each as all the opportunity to in fact live in and as this physical-existence as me. Thus, I become the living-breath – transforming the action of breath from the Mind/Consciousness that take, consume, abuse and manipulate life as substance/physicality, to me standing as the living-breath, that breath-by-breath, with and as writing, self forgiveness and self corrective application – gift me life, in and as every breath, as I stop, change and transform me as energy into and as substance/physicality as life-manifest of and as equality and oneness here.